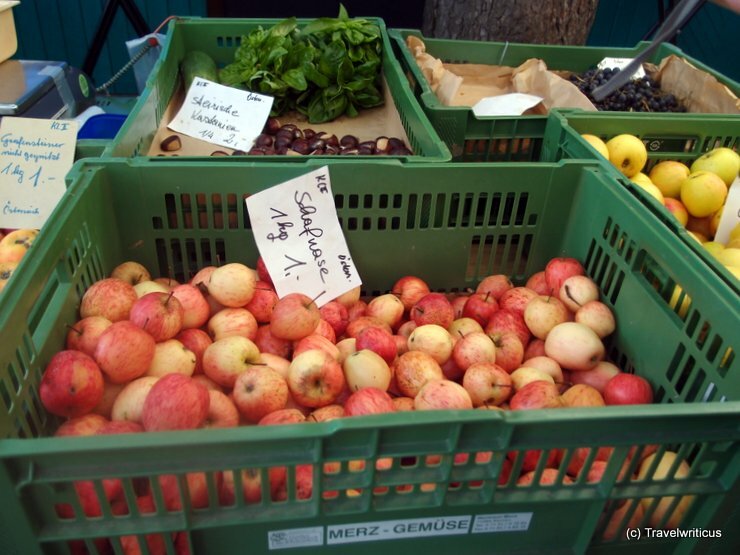 For fans of healthy nutrition the farmer market at Kaiser-Josef-Platz is a good tip. Here one can buy local products. At the photo one can see variety of apple named Schafnase. There are also a lot of products related to the Genussregion.